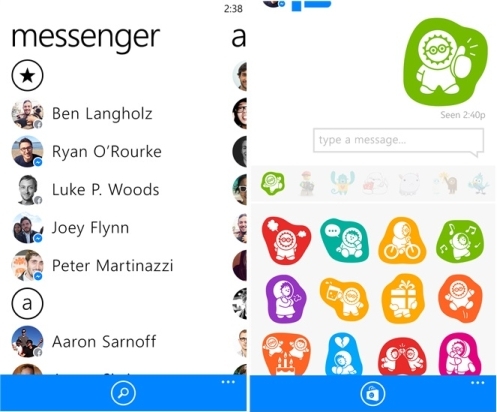 Facebook has officially released its chat application, Facebook Messenger for Windows Phones. It was announced last week at MWC event and the app already available for Android and iOS platforms. Facebook Messenger comes with a new user interface and provides full chat experience with all features including image sharing, stickers and group conversations etc. Facebook Messenger lets you see who is online for a private or group chats, you can send private messages and bring messages with pictures and stickers. You can share your location to find out nearby friends and all of your friends will be added automatically in the People Tab. There is also an option to import any new contacts. Get to all your messages without having to open Facebook. Bring your conversations to life with stickers and send photos privately. Have group conversations and make plans on the go. See who's using Messenger and who's active on Facebook. Never lose your conversation history or contacts. 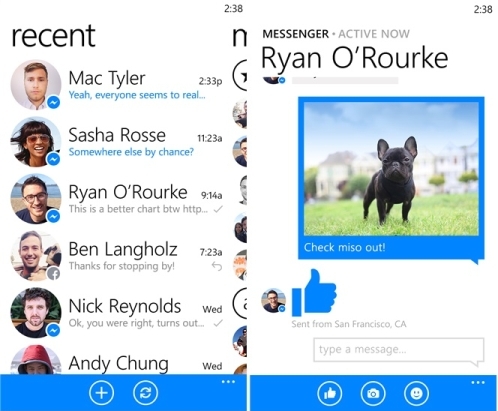 Facebook Messenger is available to download for free on Windows Phone Store. The app requires the Windows Phone 8 version.